When it comes to 3D printing, constant innovation makes for a lot more variety than you’ll find in older machining techniques. This does not just extend to the possibility of design, but into the very nature of how a part is created. You can 3D print the same part in different ways and find that they have noticeably different traits. Nylon is one of the more common materials used for 3D printing, and it can be printed with Multi Jet Fusion (MJF) as well as Selective Laser Sintering (SLS). These two processes are related and both function by thermally fusing (also known as sintering) polymer powder particles layer by layer. The key difference between MJF and SLS is their heat sources. MJF uses an ink as a fusing agent, which promotes the absorption of infrared light. SLS uses a laser to scan and fuse every cross-section. 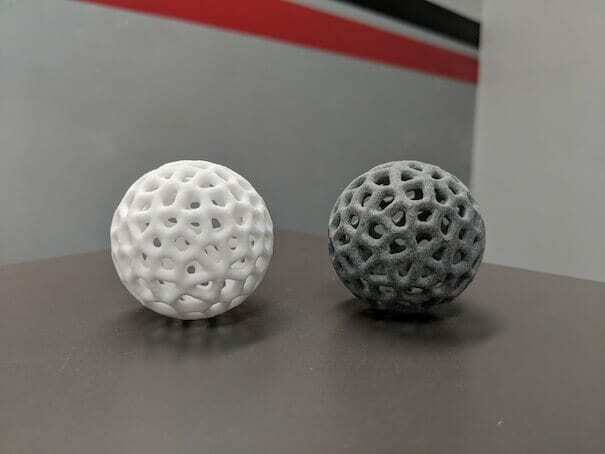 Even though these techniques are quite similar, the results of nylon printed with one will be significantly different from the other. 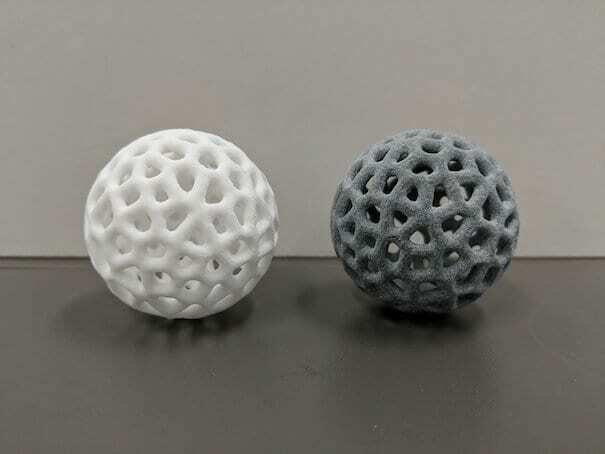 To illustrate the difference, let’s take a look at two of the nylon products we use here at Jawstec: Black PA12 (printed with MJF) and PA2200 (printed with SLS). Black PA12 has a tensile strength of 23500 psi (162MPa). Its tensile modulus is 1700 ksi (11724 MPa). 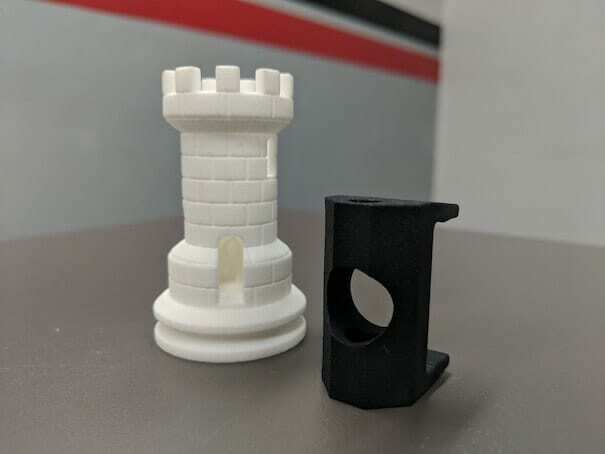 Products printed with Black PA12 have a smooth finish and are stronger than those printed with SLS techniques, especially in the z-direction. This makes Black PA12 a better choice for parts that need to withstand stress in an upward or downward direction. With the MJF printing technique, Black PA12 has a short cooling and post-processing times, which is a significant advantage it has over SLS techniques used with PA220. Around 80% of the powder used printing Black PA12 products can be recycled and reused, which is a marked contrast to the 50% that can be recycled when printing using SLS with PA2200. MJF also has a slightly higher dimensional accuracy, though they are not significantly different. PA2200 has a tensile strength of 6962 psi (48 MPa). Its tensile modulus is 1700 ksi (1700 MPa). It is a significantly less strong material than Black PA12, thanks in part to the printing technique. However, it has its own useful traits. PA2200 is very lightweight. It can also be colored with dye, making it useful for more decorative projects, while Black PA12 is a light grey that can be dyed black in post-processing. While PA2200 printed with SLS has many disadvantages compared to MJF printed PA12, it is a more well-established and well-studied process. The impact strength and creep characteristics are better understood. Both MJF and SLs printed nylon have about the same cost, though SLS tends to be just slightly cheaper. 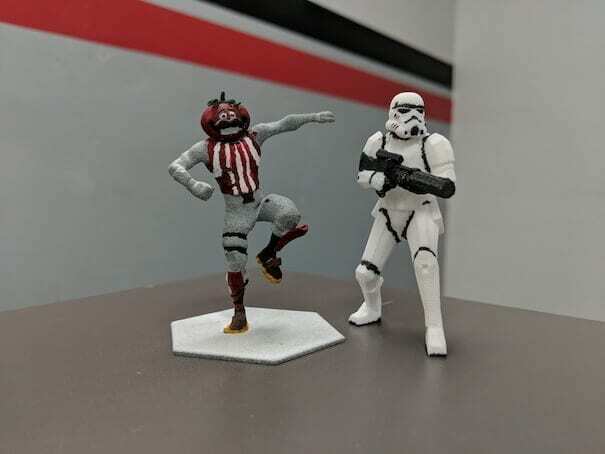 As Jawstec, we utilize both printing techniques and both materials to create accurate and effective designs for a variety of purposes. Our experts understand which is a better fit for your project and your budget. As 3D printing technology continues to evolve, we strive to understand and integrate these game-changing developments. Contact us today to get a quote and see how our expertise can help you create a better product.